How do Wollstonecraft's theories compare with Godwin's? 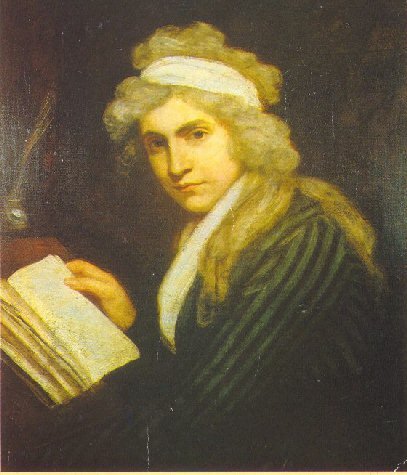 What is Wollstonecraft's view of women? To what degree does she sympathize with them and to what degree does she blame them for their situation? How does class play into Wollstonecraft's theories? To what degree does Maria demonstrate the ideas presented in the Vindication? What is the significance of the fact that the work is unfinished? Should readers even read this work if Wollstonecraft never completed it for publication? (Issues of public and private writing may be raised here.) What do you make of the role of Godwin as the editor of the work in this context? Is Darnford a sympathetic character? Response to this question may depend upon the choice of ending one considers to be most likely to have been included in the final product. Is Jemima a sympathetic character? Most importantly, perhaps, is Maria a sympathetic character? How does her interaction with Darnford affect this determination?